16 – 25, passionate about creative learning and museums. 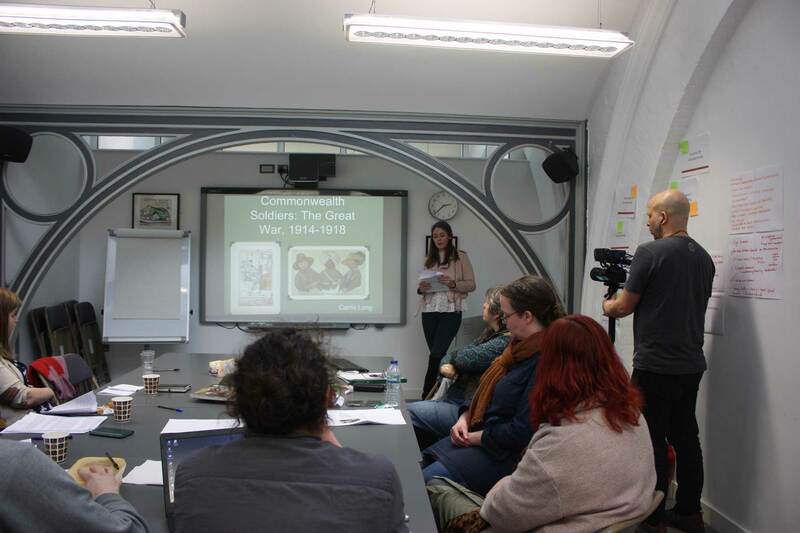 They work on a project by project basis supporting workshops and activities for different Museum audiences. They receive support and training whilst learning on the job, and also have the opportunity to complete an Arts Award qualification. 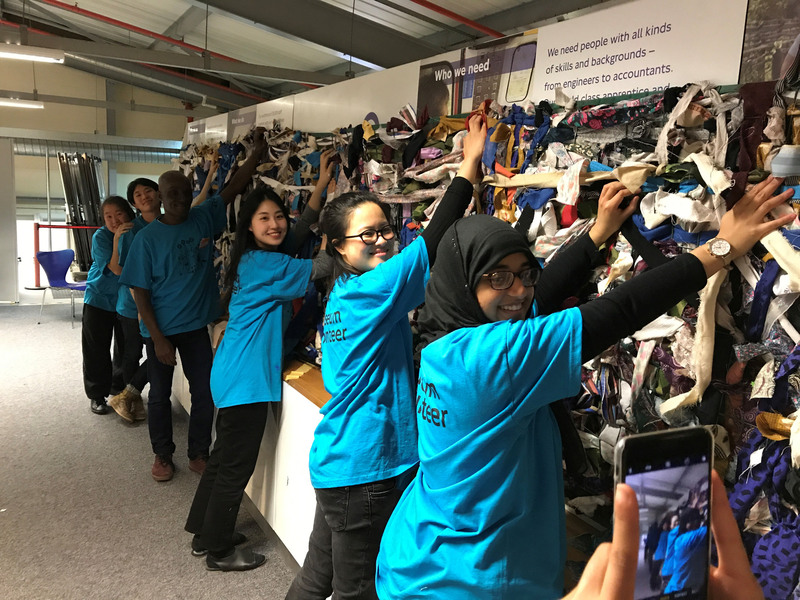 In this blog, Young Freelancer Aksana Khan talks about her first big project which involved supporting the Young People’s Skills Programme. 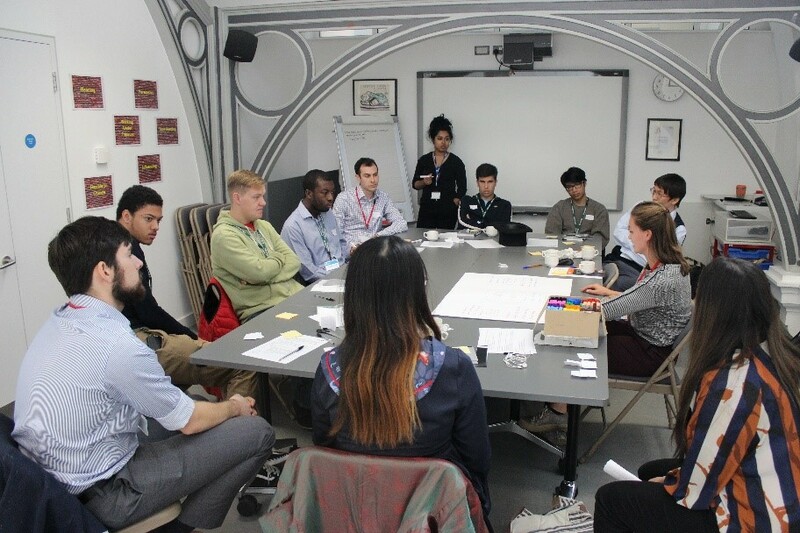 The aim of the Young People’s Skills Programme was to help a group of young volunteers to create an activity for the Skills Late 2018 event at the Museum. A Skills Late is a cross between a jobs fair and a museum late event. 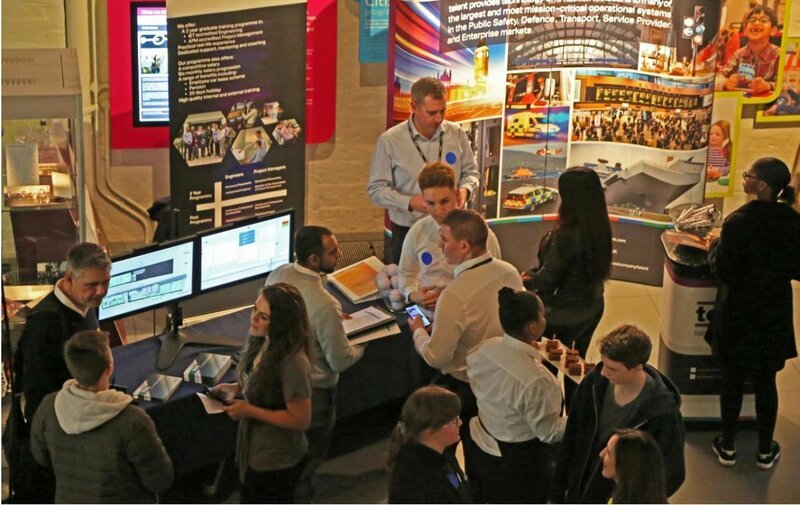 This year, we had a live DJ, an Apprentice Lounge, and stands from leading employers in the transport and technology industries such as Bombardier, Hitachi Rail Europe, Microsoft, Mott MacDonald, Siemens, telent, and Transport for London. Our six talented, young volunteers had varied creative interests from animation and drawing, to story-telling and making maps. What united them was the desire to boost their own skills whilst helping other career seekers. 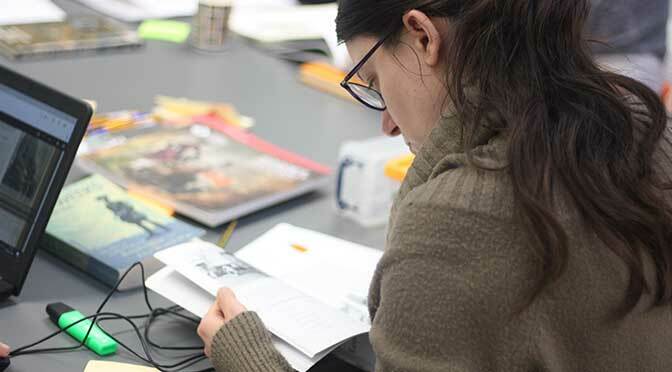 Lead Freelancer Becky Hatchett and I organised a Design Sprint Week for the volunteers, where they explored the Museum’s collection, attended sessions on presentation skills, and built their Arts Award portfolio. During this week, they met with members of our Learning Team, Skanska graduates, Hazel Grant (Recruitment Manager at TfL), and Seema Kaler (Transport Planner) who all provided valuable insight on different skills building. 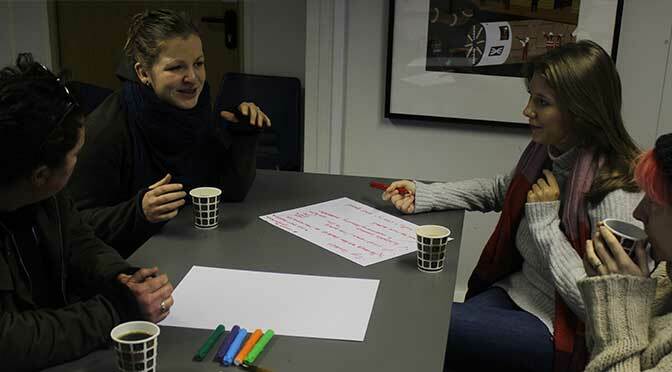 The main focus of Design Sprint Week was for the volunteer to identify solutions to common questions young career seekers have, such as: what questions to ask employers; what different types of jobs exist in transport and infrastructure; how to find out about jobs that suit their interests and skills. The volunteers divided themselves into groups and presented their solutions to our Learning Team in a ‘Dragon’s Den’ style – although much more jovial and relaxed! 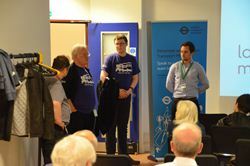 The Learning Team were blown away by what the volunteers had come up with for the Skills Late event: a fun dress-up station where visitors could wear transport sector uniforms, and volunteers could dress up too while helping visitors navigate the employers’ stands throughout the Museum. A 3D digital map with information portals on different careers, and a WhatsApp interface so that career seekers could ask people more about the jobs they are looking for. This solution inspired a career mapping activity, and a WhatsApp handout filled with questions to ask employers. A highlight of the Skills Late event was how the young volunteers did a presentation on their activities in front of over 200 people! As a Young Freelancer, I learnt how museums can cater to young people who are eager to kick-start their careers. It was touching to be part of something where young people were listened to and had their views taken to account. This programme exposed them to gatekeepers of various opportunities; it gave them an opportunity to gain an Arts Award, as well as tangible skills and experience for their own job hunt. It was great to see how the group became increasingly confident as the programme drew on. Get in touch if you want to join us as a volunteer yourself! This blog is part of a mini-series of updates about the Battle Bus Research Volunteer Project. To keep up-to-date with all the latest programme activities, please visit the ‘Battle Bus’ section in London Transport Museum blog. The last session brought together all the interesting research we’ve been doing over several weeks. The volume of information and the depth of people’s research were impressive. Everyone had loved using the T.O.T staff magazine to learn about transport workers’ experiences. Others have been to The National Archives at Kew in southwest London and the British Library in central London to extend their knowledge and understanding of the role of the B-type buses. We took turns to sum up the research that we’d done. We looked at how the buses became involved in the First World War, going back to the months before war broke out, when Thomas Clarkson demonstrated the way his Chelmsford bus could move at speed. We learned about how the buses were requisitioned for war service and the varied work they were engaged in from carrying troops to acting as pigeon lofts. Of course, recruiting the buses also meant signing up the drivers for active service and they travelled with their vehicles throughout the conflict. 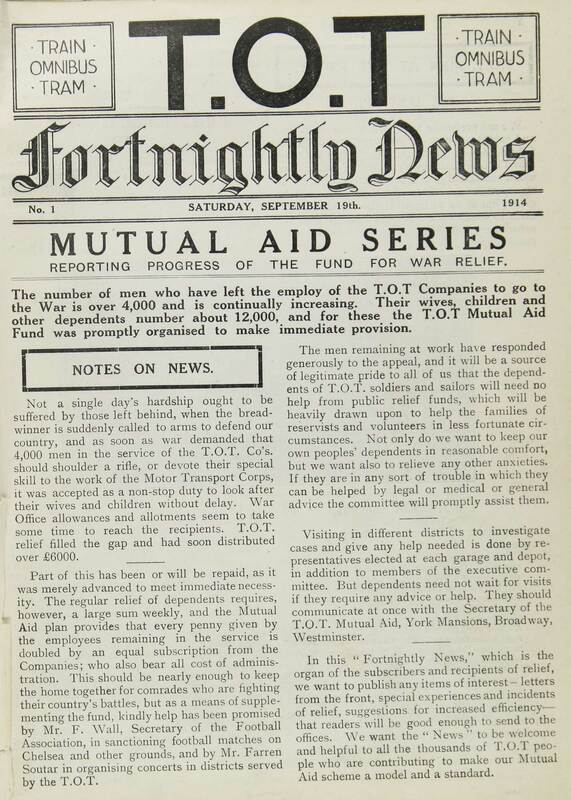 The letters in the T.O.T staff magazine gave a great insight into the LGOC employees and their families during the war. We learned about the soldiers’ relationships with their buses; they called them ‘old tub’ and ‘old girl’ in their letters home. This personalisation highlighted how buses were a reminder of home and how their crews had real concern for their vehicles, even referring to them as ‘wounded’. We were given a real insight into how buses played a part in the Balkans, moving troops from Salonika through the mountains in convoy. We learned about the importance of the buses in the war experiences of Commonwealth troops and the service of the 1.3 million Dominion soldiers. Back in London, buses also played an important part in how visiting soldiers experienced their leave in the city. We also looked at the way LGOC workers were remembered. Remembrance is such a huge part of the First World War story. One B-type bus, ‘Ole Bill’, was nominated for preservation and was the only civilian vehicle to participate in the Armistice Day parade in 1920. It is currently on display in the Museum at Covent Garden. The T.O.T. magazine records the accounts of those whose names appeared on memorials in bus garages all over London after the war. Sadly, many memorials no longer survive. The presentations gave a good overview of the journey we’ve been on, learning about these important vehicles and the contribution of transport workers to the war. We have had a great opportunity to look at the Battle Bus, 100 years on. Now, full of enthusiasm and filled with cake before we left, we’ve all parted for the time being and are now looking forward to the launch of the exhibition that will celebrate the ‘old tubs’….the ‘old girls’. Week five began with us thinking about the key message we thought visitors should take away from the exhibition. We put a brief summary of our research topic on to a sticky note, grouped these into themes and arranged the themes into an order. This simple exercise was really helpful, as we could see a potential storyline emerge, check the key messages were covered, and identify areas with too much or not enough focus. We also found out where in the Museum our temporary exhibition would be on display – in Luke’s Skills Space on Level 1. We were then treated to a brilliant talk from Sau-Fun Mo, Head of Design at the Museum. Sau-Fun gave us what seemed like the trade secrets of museum design departments, not only explaining the process of designing exhibitions, but demonstrating how vital design is in supporting the content, and the potential for design choices to subtly affect how information is conveyed. After explaining design structure schemes, which link every task in a project to a clear progression, Sau-Fun detailed her work on two contrasting displays in the Museum: the Poster Girls temporary exhibition about female poster artists, and the new permanent gallery about tunnelling, called Digging Deeper. We learned how approaches differ according to the scale of the space and the objectives of the displays. 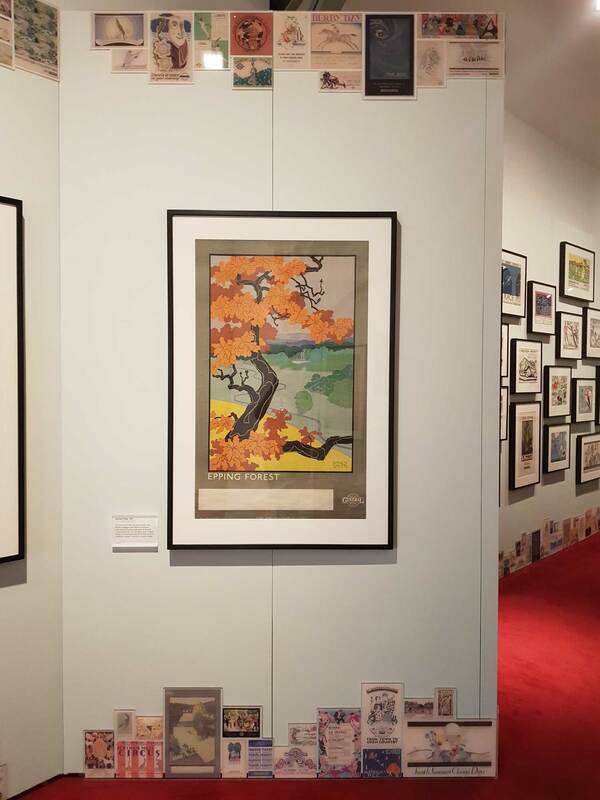 We were also given examples of techniques that help inform and engage visitors, such as the graphic of small images running along the entire Poster Girls display to convey the wealth of the collection that the exhibition was drawn from. Sau-Fun gave us some advice on the design approach for our project. As the space is a self-contained room, she told us to think about what the space outside could communicate to visitors, and what the immediate impression of the exhibition should be when entering the room. In week six, we discussed ideas for the exhibition space. Although we won’t be dong the design work ourselves, we wanted to put our ideas into the design brief and were keen to have a go at applying what we’d learned from Sau-Fun. On the whole, we went for realistic ideas that would engage the audience. Smoke machines and animatronics in the skills room seemed unlikely! We felt that making a clear link from the Battle Bus itself, which will be on display in the main gallery on the ground floor, will be crucial. Ideas included a trail of logos, or handing tickets to visitors to ‘continue the journey’ upstairs. We weighed up whether it’s better to divide the room into sections, or have a central feature. We’ve been so taken with the T.O.T magazines that a suggestion to use them in the graphic design was popular, as was a large map to unite the different topics. A pigeon motif was suggested, to make use of the room’s height and engage visitors with the surprising sight of B-type pigeon lofts. Simple ways for visitors to interact were also suggested, especially children’s activities and a comments board. As we approach the end of the project, it’s sinking in that our research must form a story worthy of a museum display. That is quite daunting, but we are also hugely reassured to know that the Design department will be able to work wonders with whatever we come up with. Comeback every week to read the latest instalment on how our volunteers are getting on with their Battle Bus project. This week the group started to research their chosen topics, which included the use of the b-type buses during the war and the role of transport workers. Research volunteer Carrie Long writes about her discoveries whilst exploring the Museum library and photo collection. ‘A new type of hero in war. 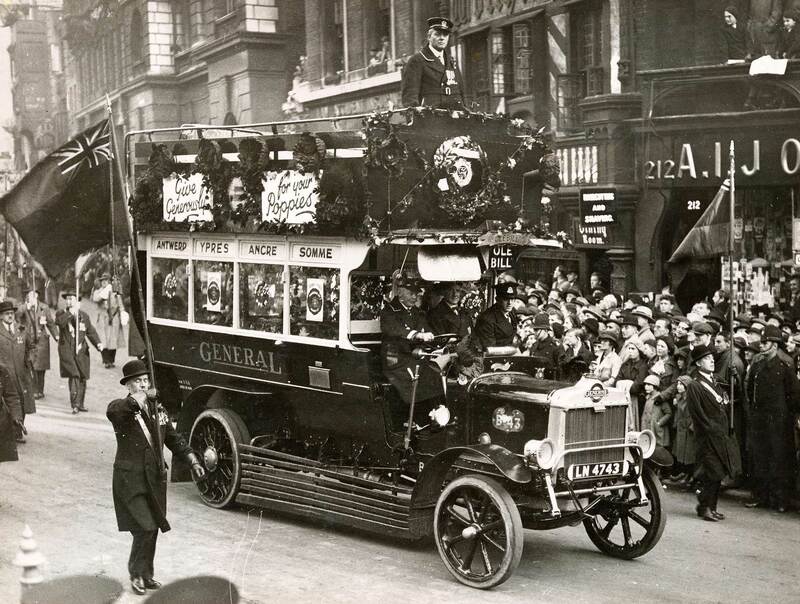 The man of the moment at the front is the London bus-driver’, reported the Daily Mail in 1914. Throughout the First World War, bus drivers swapped their foggy routes along the Strand in central London for the ‘veritable hell of shell and shrapnel fire’ on the Western front. Many of those drivers volunteered to go with their bus when they were commandeered for the war. Publicly named as ‘heroes’ as early as 1914, it was clear that the sacrifice and mechanical skill these men were providing was incredibly important to British victory. But, in popular memory the stories of these brave London bus drivers have been forgotten, until now. This week our research team began a mission to uncover their stories from the archives. 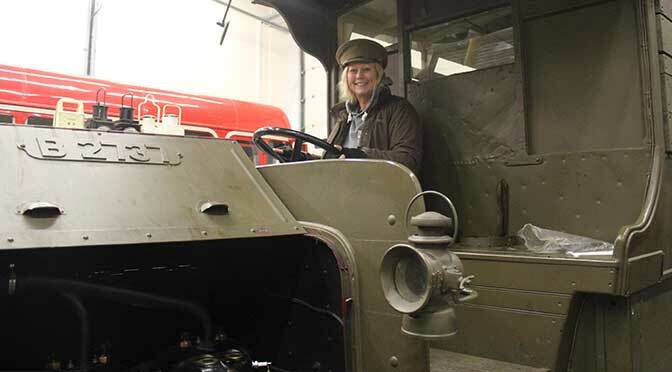 The Museum’s photo collection in Collections online was fantastic for allowing us to see the transformation of the bright red buses to their war-time khaki colours. It was notable that the drivers maintained their cheerful smiles and spread a visible culture of ‘comradeship’. However, it was clear the change of scene from London to the Western Front was no holiday for the drivers. 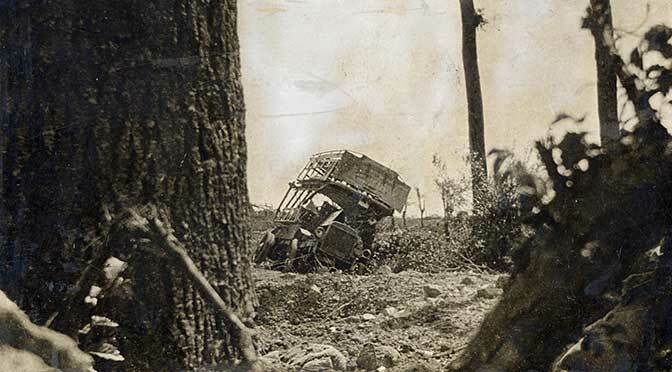 Photographs of vehicles transformed into military troop carriers or buses lying burnt-out in a ditch, highlighted the immense danger and high level of responsibility they played in the war. To understand how these men and their families coped with their transformation from civilian life to soldiering, the T.O.T magazine (T.O.T was shorthand for Train, Omnibus, Tram) proved an archival treasure trove. The magazine, published fortnightly and later monthly after 1915, was produced for members of staff serving at the Front and their families and colleagues at home. It is a fantastic resource for documenting the changes throughout the war. The editors actively encouraged soldiers to write letters and to be personal about their experience, writing that ‘saying what you mean and what you feel’ is most important. The magazine was not intended to be a public newspaper, but rather a news forum for transport workers and their families. Remarkably, the magazine didn’t read as war propaganda as I expected, but instead provided insights into a diverse range of experiences and emotions. Published letters from the men reveal the attachment drivers felt towards their buses through their affectionate reference to them as ‘old tubs’, provide insight into their personal sense of loss through sometimes graphic accounts of comrades’ deaths, to sharing their joy at meeting other drivers on the road. A personal research highlight was discovering that London bus drivers were connected to a much wider global story of war. 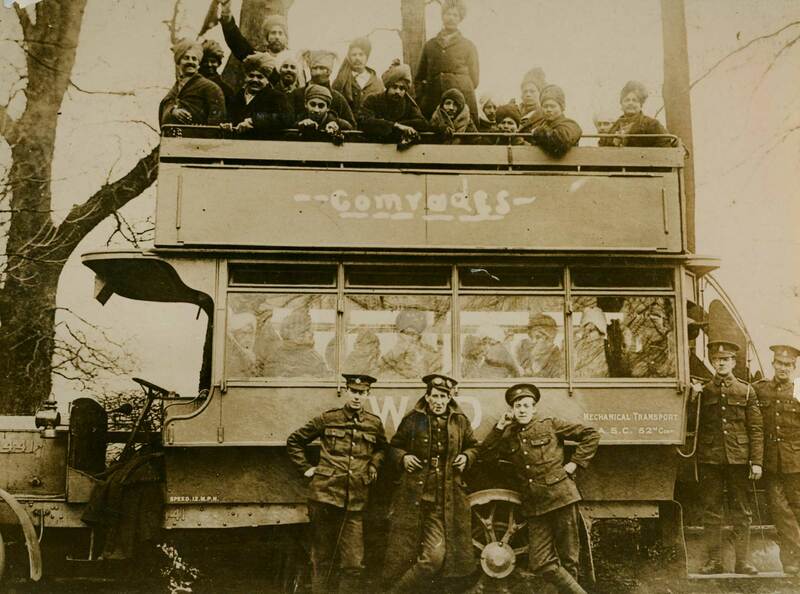 Drivers were at the forefront of forging Commonwealth connection through transporting Indian soldiers to the front lines, driving the wounded to hospital, and facilitating days out for dominion soldiers on leave in London. The international community spirit is clear from Corporal E. Scuffell, who wrote ‘Australians, Canadians, Indians and French … we are mixed up a bit, but all of one mind’. The T.O.T was consistently described as a joy to read by soldiers. It provided them with a connection to home as they used it to communicate birthday wishes to their children, see pictures of their families on days out, and learn about how women were contributing to the war effort through becoming bus conductors in London. Today, the accounts of the T.O.T provide a permanent record of the bravery of the transport workers who went to war, and of the drivers and buses that supported them there. Volunteer Rhys Davies-Santibanez reflects on session three of the project, which introduced the volunteers to the resources available to help them start their research. Having spent the previous week out and about visiting other museums, being back at the London Transport Museum was a welcome return to soft seats and having tea on tap. A quick recap of our impressions of the different ways other museums displayed their exhibits revealed many diverse opinions in the room. With that in mind, how were we going to agree on the direction of our research? 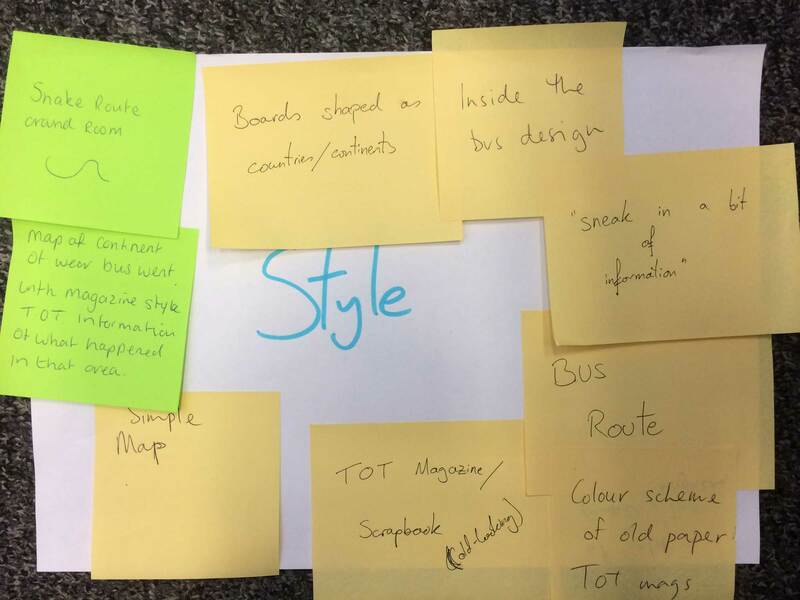 We split into two teams to discuss subject areas and approaches to researching the B-type buses. My group’s interests lay in the tales of the soldiers on board, together with the broader (and political) story of the First World War’s effect on women’s rights and on workers in general. Before we knew it, our guest speaker had arrived. Andrew Robertshaw is a man of boundless energy and passion. He introduced himself by rattling off a handful of impressive credentials (and a quick Google search easily doubled this list). Armed with just a USB stick and a boxful of trinkets, Andy effortlessly proved that curiosity and some online tools are all you need to start researching First World War military personnel. I thought he’d just briefly touch on the generalities of research, but by the time he left I had two pages packed full of notes. Lunch provided time to digest his many insights before the afternoon’s activity, our library induction! Caroline Warhurst, the Library and Information Services Manager, warned us it was normally pretty cosy with just two people working in the library. Nevertheless, ten of us managed to squeeze in to listen to her. Despite the crush, the short time we were in there proved fruitful. The day wound to a close with a group discussion revisiting the research interests we had explored. In contrast to my group’s focus on personal and social stories, the others had been thinking about the Battle Bus as an object in its own right: what the B-type buses had been used for during the Frist World War, and even the materials and process of production. Plenty to think about between sessions! How do we tie our various interests into a single thematic thread? What do we look into next? Next week we start researching in earnest, thinking about what our Battle Bus exhibition might look like. This week the group visited the First World War galleries at Imperial War Museum and the Society and the War gallery at National Army Museum. Here, volunteer Eithne Cullen, talks about her experience of the day. 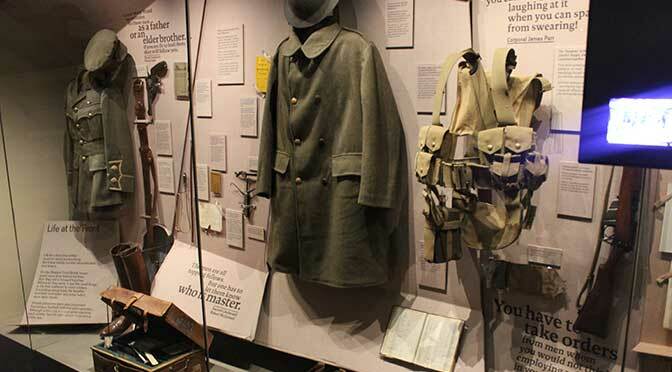 At the Imperial War Museum, the number of deaths and the awful conditions endured by the soldiers and civilians who lived through the First World War make visiting the exhibition an emotive and powerful experience. All the people in the group felt they had the chance to examine artefacts and get a sense of the sights and sounds of war, with sympathetic lighting and a variety of hands-on displays. 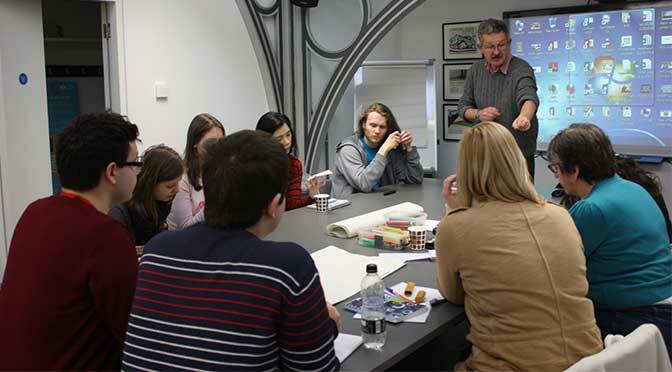 The opportunity to learn about individuals’ lives and see artefacts as varied as china and crockery, newspaper headlines of the day, propaganda posters, empty bullet shells, uniforms and a reconstructed trench – all made this come to life. Individual lives were opened up too, from Edith Cavell the heroic nurse, to Siegfreid Sassoon the officer-poet who spoke out about the conditions his men experienced. Other letters and diaries provide vivid records of individual service, like Gabrielle West whose diary tells of her role in a special police service set up to supervise women workers. By way of contrast, the exhibition at the National Army Museum seems like an attractive cinema entrance, where there is generous use of colourful posters and bright display cases. We saw the cultural influence of the army on our lives in a display looking at everything from representations of the army in cinema to the way army language and slang has entered everyday speech. 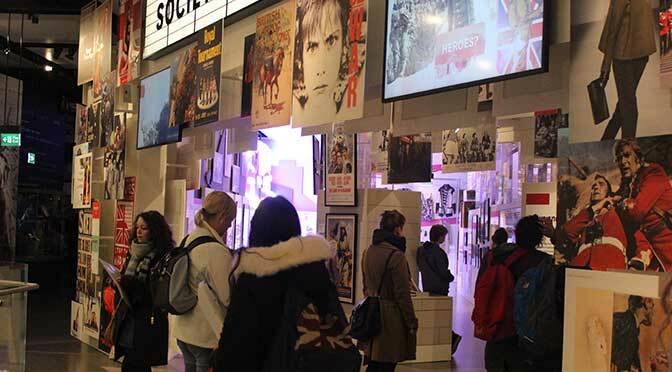 The use of a film about the conflict in Northern Ireland know as the Troubles made some of the group feel uncomfortable because it was unexpected and felt out of place in this gallery considering the other themes. The small exhibition about the symbol of the poppy was interesting and provoked some thought about how the poppy is used for Remembrance. These two contrasting displays gave us lots to think about when considering how we react to the way information is presented to us and the way we respond to it. I was very taken by the stories of the women who worked in the munitions factories, the munitionettes. I wrote this poem in response. the powder makes her hair and skin yellow. Canary girl in an opera of canaries. one spark and they’d be off, all blown away. their tunics a mockery of battledress and frontline uniforms. a medal for her service at the front and times in Holloway. and the songs they sing block the awful factory sounds. 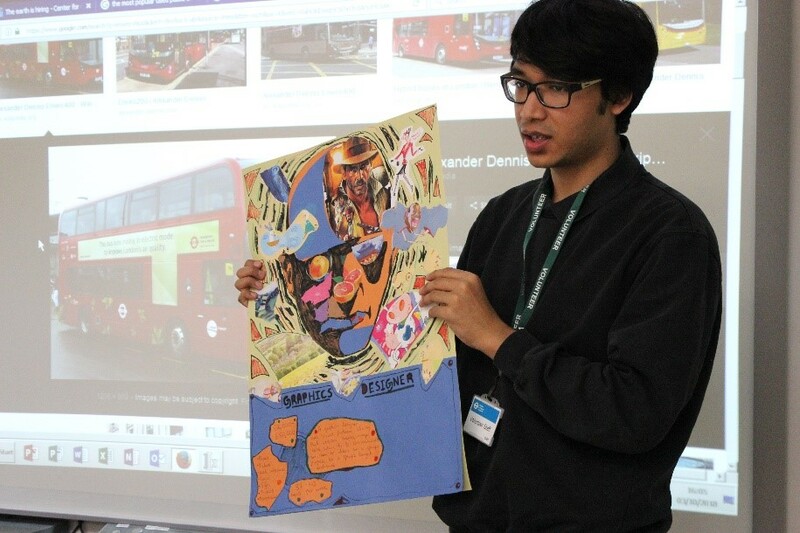 This year the Battle Bus project is focussing on ‘London’s Memories’. We are starting the programme of activities with a research volunteer project, to uncover stories of transport workers involved in the First World War. This week we were based at the Museum Depot at Acton. We started the morning with some group activities to get to know each other better and discussed what makes good presentation skills. We then went to explore the famous Battle Bus, with curator Katariina Mauranen, who worked on the bus restoration project. This amazing B-type bus was introduced in London in 1910, and was operated by the London General Omnibus Company (LGOC). More than 1,000 of these buses were sent to war, many with their bus drivers. They were used to transport troops to and from the front lines. After the war, only around 400 buses came back to London and many were in such bad condition they were just used for parts. It was such an interesting experience. We got to hear about the story of the Battle Bus, sit on the top deck, see all the little details and some of us even got a chance to sit in the driver’s seat! After lunch it was time for some more group activities. This time each group created a presentation from documents we were given, to get us in the mood to start thinking about the Battle Bus research project. We discussed the First World War in general, remembrance of the war and stories of individual transport workers. Everybody was really interested in the postcards and letters sent from or to soldiers, and the personal stories they showed. 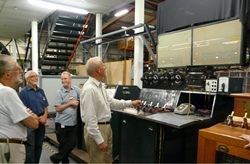 At the end of the day we were given a tour of the Depot by Keith Raeburn, the Depot Supervisor. It was a great chance to see the development of London buses. We saw everything from horse-drawn omnibuses to ones that are almost the same as the buses on London streets today. We also saw posters and objects from the collection and of course Underground trains that were used throughout the 20th century. At the end of the day it was clear that we have a great group of volunteers with different interests and backgrounds. Hopefully this will give us some fascinating outcomes at the end of the project. Let’s see where this research will take us! 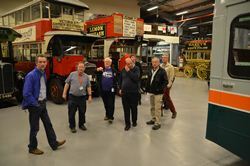 Alongside the restoration and conservation of Battle Bus (B-type B2737) London Transport Museum is also running an in-depth learning and engagement programme. 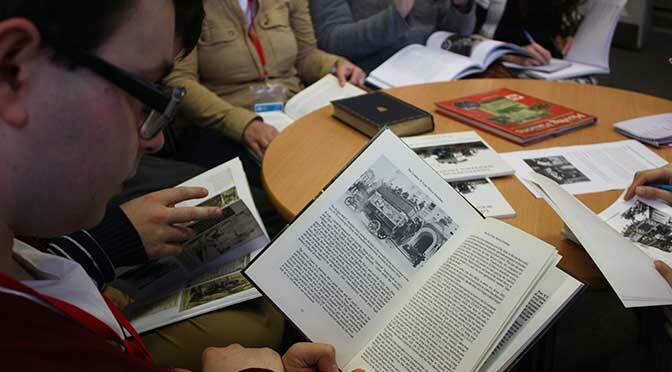 Throughout the centenaries of the First World War, the programme will work with different groups of volunteers to investigate new perspectives of the Battle Bus and bring to life the stories of those affected by war and the role of transport within it. In 2015 our focus was the experiences of women. At the outbreak of war in 1914 thousands of men from the transport industry volunteered to take on military roles. The industry lost a significant proportion of its workforce, and it wasn’t long before women were called upon to fill the roles that men had left behind. In the bus industry, one of the roles undertaken by women was as conductors, ‘clippies’ or ‘conductorettes’ as they were sometimes called. They received mixed reactions from the public, simultaneously a symbol of women’s important contribution to the war effort as well as a target for derision by those who felt that women were not capable of carrying out such responsible jobs. 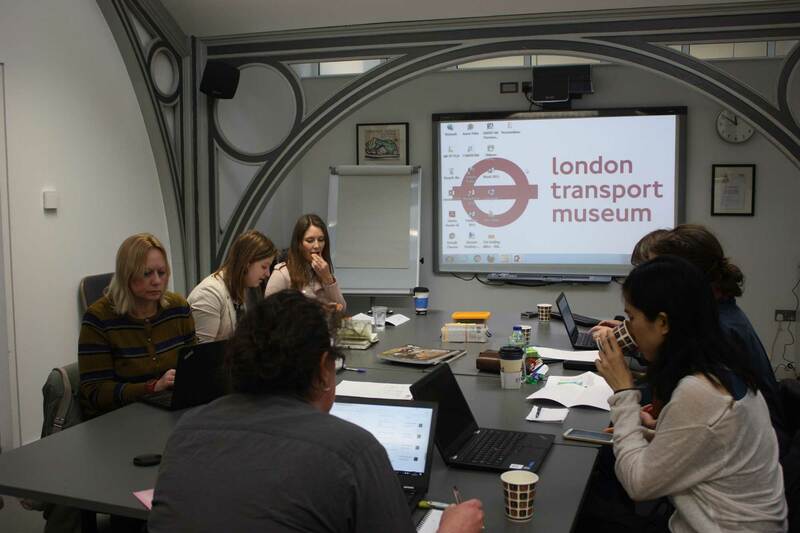 Working with over 40 female professionals currently employed in the transport industry we explored the stories of these first ‘conductorettes’ in more detail. We looked at the experiences of these women and how they contrast to that of women working in the bus industry today, how the role of women has changed over time, as well as asking if women today still face the same prejudices as counterparts from 100 years ago. The stories all contributed to a final exhibition, ‘A Driving Force: 100 years of women in transport’. As well as the film shown above the exhibition included oral history interviews, artwork and a timeline of key milestones in the story of women in transport from 1915-2015. 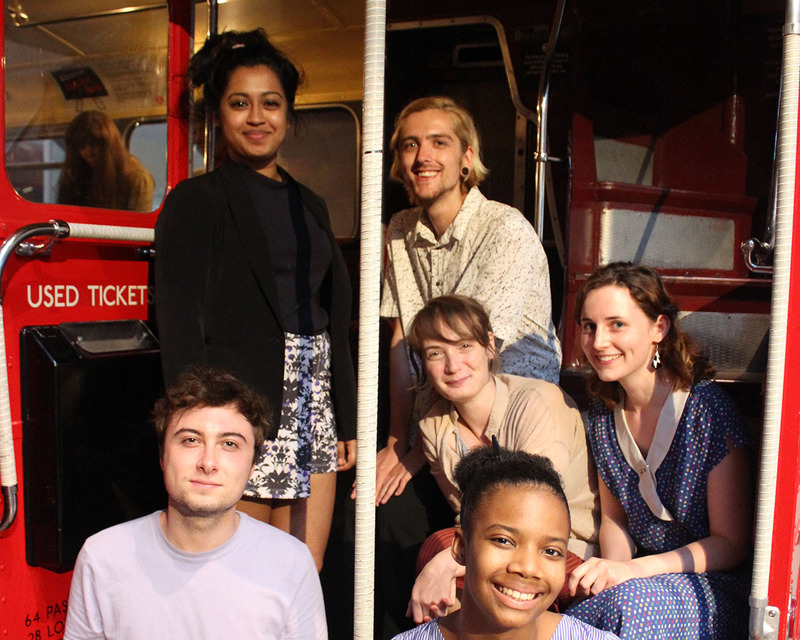 In the Summer and Autumn the exhibition toured cultural and community venues throughout London, including Catford Bus Garage, London Transport Museum Depot in Acton, Westminster Music Library and Victoria Coach Station. So, it’s official, 2014 is the Year of the Bus (in London anyway). There’s at least three reasons: it’s 100 years since B-types took troops to the Western Front, 75 years since the RT first appeared on the streets of London, and 60 years since the first Routemaster made its debut at the Commercial Motor Show. As you can imagine, a significant programme of major events is planned to celebrate. Amongst many other things we can look forward to a number of Bus Garage Open Days through the summer, a major two day Routemaster rally in July, a restored B-type being adapted as if going to France in 1914 and a unique bus rally in Central London, also in June. The programme is noteworthy for being delivered by the many different organisations and individuals which either own heritage London buses or are involved in providing services today. Inevitably this means a major contribution from the Museum, owning as it does many historic buses. If the Museum is to make the fullest contribution to the Year of the Bus a significant volunteer effort will be required to support event delivery. 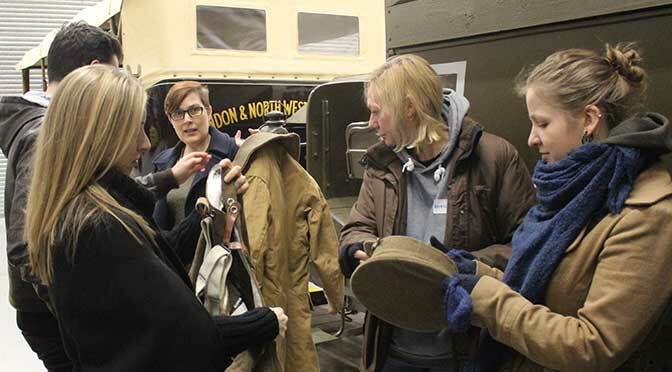 To help muster the necessary forces, the museum and the Friends of the Museum held a joint volunteer recruitment event at the Acton Depot at the end of March. I went along to cast a discerning eye over the opportunities available – and there are some good ones! Before events buses need cleaning, preparing and driving (only by the properly qualified, of course). At the events there’s a lot of stewarding of people and vehicles required, a large element of which concerns providing context and history to the public. The Underground hasn’t been forgotten: following the hugely successful Underground 150 anniversary celebrations in 2013, a small number of steam outings are planned on the network for 2014, requiring volunteer support. The architectural and design legacy hasn’t been forgotten either in the public programme, for example with further tours of Aldwych station. You’ll be delighted to know that I put my hand up for a number of activities! 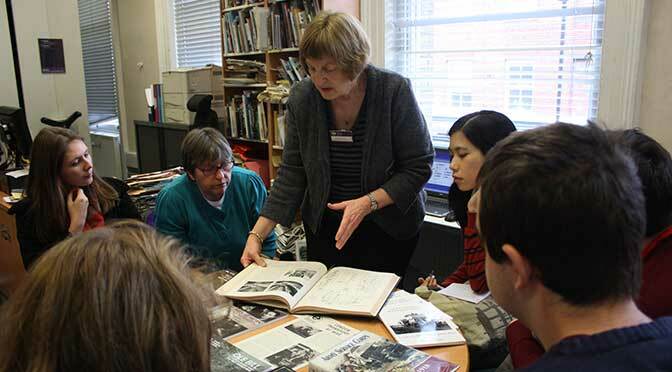 Regular blog readers will be starting to gain an appreciation of just how much of a contribution the volunteers make to the smooth running of the museum and, more importantly, the quality of the visitor experience at both Covent Garden and the Acton Depot site. So, understandably, the museum hosts an annual “thank you” event for all the volunteers who so freely give of their time, knowledge and expertise to help the museum thrive. 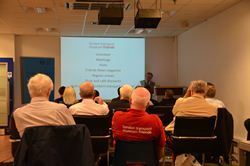 This year’s event was at the Acton Depot, and featured a diverse agenda covering many aspects of the museum’s operation. 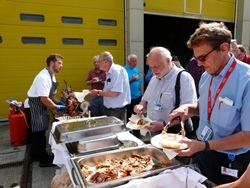 Not only did free beer feature, but also a hog roast, so no need to worry – your scribe was at the front of the queue to attend the event. Rumour has it that there was also an alternative for the vegetarians amongst us. Before lunch we heard from Sam Mullins, Director of the Museum, who gave us a view of the last year and a taste of what 2014 holds, which I can tell you is exciting! After this there was the presentation of a number of long service certificates to loyal volunteers (and there are many of them). 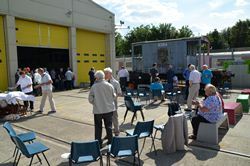 Next came lunch in the yard, which was excellent and blessed with warm sunshine, followed by the the official opening of the Marble Arch Signal Frame, as featured in my previous posts. On then to a number of very informative and entertaining updates from various parts of the museum; a bus pit tour, with an opportunity to see the underside of a GS type bus; an update on progress with the restoration of the second prototype Routemaster and a guided tour of tunnelling ephemera. After all this and more I left after five hours feeling amply rewarded for my paltry efforts, not to mention entertained and informed.